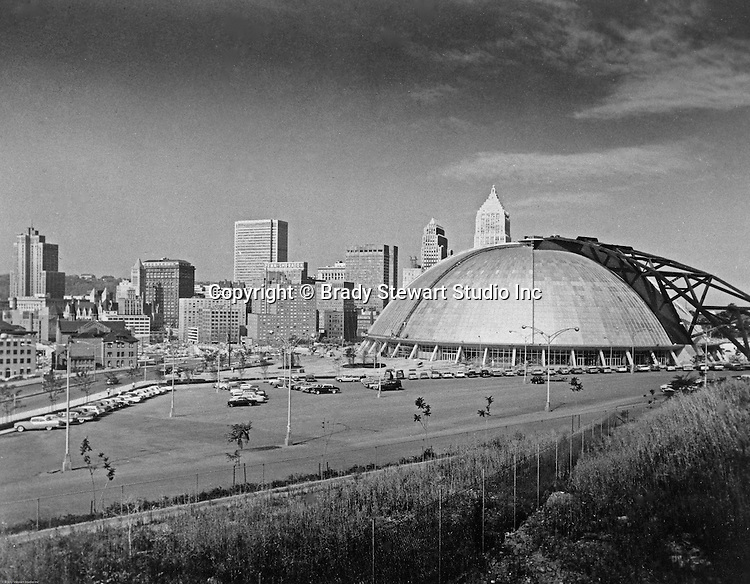 Pittsburgh PA: Pittsburgh's new Civic Arena Construction - 1963. On location photography for the Civic Light Opera, the building's primary tenant. Pittsburgh Mayor Joseph M. Barr and Hornets owner John Harris (founder of the Ice Capades) made the skating show the feature act of the Civic Arena's grand opening on September 19, 1961.